As we start to enter a New Year, lots of tomatoes will resolve to get healthier and fitter, or we have loved ones we’d like to help get healthier and fitter. Well a fitness tracker can definitely motivate you to move more, sleep better, track calories, and just in general keep your health top of mind. It’s the perfect holiday gift for yourself or others. There are many fitness trackers on the market, and many with bells and whistles that didn’t exist when they first came on the market place. Below are a few of the top rated ones. Fitbit was one of the first smart trackers out there, and their basic Fitbit Flex (retails for around $80) is a great choice, but the one that’s getting all the buzz is the Fitbit Charge HR. It’s more expensive – $149.95 – but the bells and whistles make it worth it. It has a readout with the time, your activity (steps, miles, type of exercise), continuously tracks your heart rate, and monitors your sleep automatically too. And while it’s not waterproof, it is splash proof. 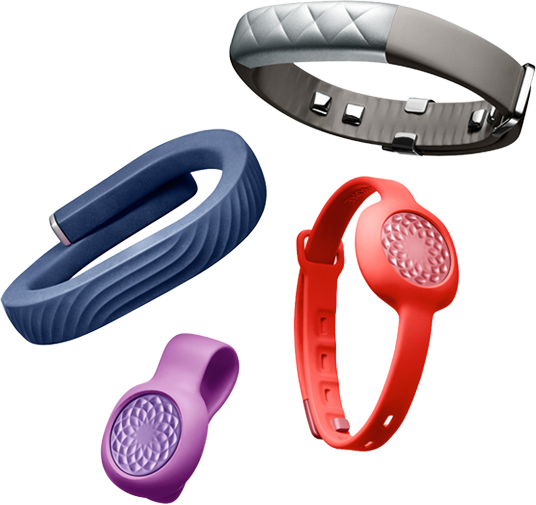 Jawbone also offers several models with different levels of bells and whistles. If you don’t want to wear a bracelet type tracker, the Jawbone Up Move (on sale now at Amazon for $29.99 vs. $49.99) is a clip on tracker. 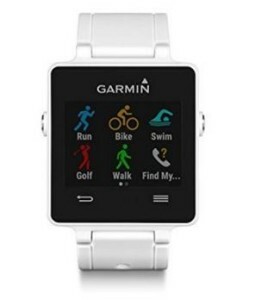 It has an LED display that monitors steps, calories, and sleep. And it connects to the Up app, that analyzes your activity and provides advice on how to be healthier. The Jawbone Up 3 is a braclet tracker that includes exercise, sleep, food log, heart health and the smart coach. Regularly $179 but on sale now at Amazon for $141.99. 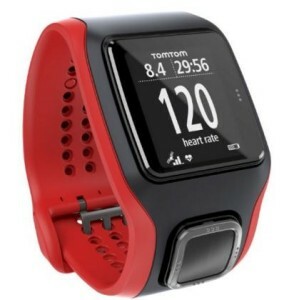 TomTom Multi-Sport $179 at Amazon, and the Garmin Vivoactive $199 at Amazon at excellent choices for serious sports people. And by the way, if you want to try a tracker before you buy, there’s a web site called Lumoid that will let you try 5 trackers for two weeks for $25. 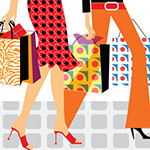 And if you buy one, they will credit the $25 towards the purchase. Love this idea!